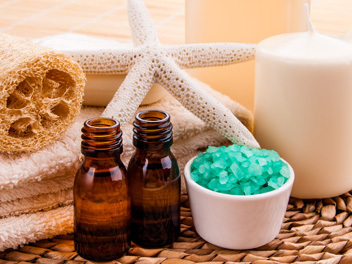 Allow our friendly staff to pamper and take care of you, to ease cares and stresses away. Established since 1986 within Chichester’s Westgate Leisure, the Sanctum provides an area of calm and relaxation with fresh towels and robes. Soft lighting, aromatherapy essences and a colour scheme inspired by nature promote a feeling of balance and well being. The Spa’s name was inspired by Latin origins in keeping with Chichester’s Roman history. The word ‘Sanctum’ means retreat, and it is our pleasure to provide this retreat from the world, for you to rest and recharge your batteries. We have a team of professional, fully qualified therapists some of whom have worked in internationally recognised spas, including Harrods, The Sanctuary in London, The Metropole in Brighton, spas in Bermuda and on cruise ships. You can read more about our therapists at our team page. 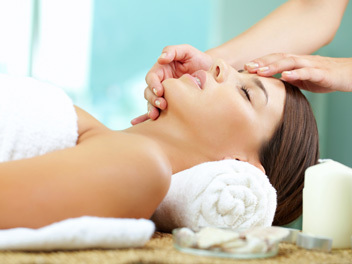 Our treatments include the renowned Guinot range of face and body treatments, massage and holistic therapies. We are also skilled at advanced electrolysis, red vein treatments, waxing, eye and nail treatments including Shellac polish. 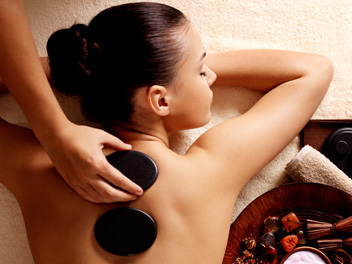 Or, if you want to spoil yourself we also offer a range of Spa Days.